I questioned 30 people and their response is in the graphs below. 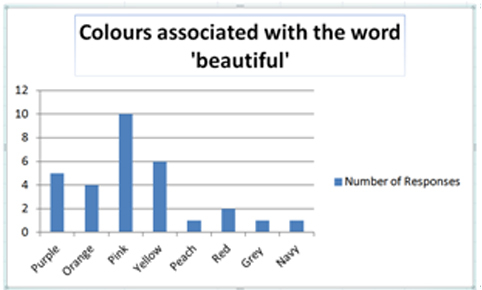 Looking at the data I have gathered we can see that the colours Purple and pink are considered the most calming and the most beautiful jointly with the value of 13 responses each. This means that to achieve a calming, but beautiful image pink and purple tones would be more favoured over some of the less popular colours such as green. 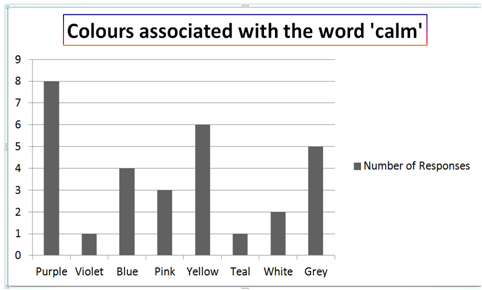 This colour did not come up as an answer [I was surprised by this] but yellow seemed far more superior, I will try to avoid such boldness in my colour tone, as this was something that wasn’t popular by looking at the data. We also can see that some colours are more calming than beautiful and vice versa, it is interesting to see that pink was seen to be more beautiful, yet it was not calming. It would be interesting to see if warm toned or cool toned pinks are more pleasing in images. This survey will inform how I edit my images to suit my project proposal.